In the present milieu of rapid innovation in undergraduate medical education at US medical schools, the current structure and composition of clinical education in Internal Medicine (IM) is not clear. To describe the current composition of undergraduate clinical education structure in IM. National annual Clerkship Directors in Internal Medicine (CDIM) cross-sectional survey. One hundred twenty-nine clerkship directors at all Liaison Committee on Medical Education accredited US medical schools with CDIM membership as of September 1, 2017. IM core clerkship and post-core clerkship structure descriptions, including duration, educational models, inpatient experiences, ambulatory experiences, and requirements. The survey response rate was 83% (107/129). The majority of schools utilized one core IM clerkship model (67%) and continued to use a traditional block model for a majority of their students (84%). Overall 26% employed a Longitudinal Integrated Clerkship model and 14% employed a shared block model for some students. The mean inpatient duration was 7.0 ± 1.7 weeks (range 3–11 weeks) and 94% of clerkships stipulated that students spend some inpatient time on general medicine. IM-specific ambulatory experiences were not required for students in 65% of IM core clerkship models. 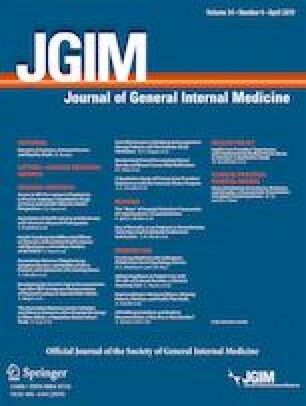 Overall 75% of schools did not require an advanced IM clinical experience after the core clerkship; however, 66% of schools reported a high percentage of students (> 40%) electing to take an IM sub-internship. About half of schools (48%) did not require overnight call or night float during the clinical IM sub-internship. Although there are diverse core IM clerkship models, the majority of IM core clerkships are still traditional block models. The mean inpatient duration is 7 weeks and 65% of IM core clerkship models did not require IM-specific ambulatory education. Initial data from this study was presented at the National 2018 CDIM meeting March 2018 in San Antonio, TX. The online version of this article ( https://doi.org/10.1007/s11606-019-04892-0) contains supplementary material, which is available to authorized users. The authors would like to thank the CDIM Survey and Scholarship Committee, CDIM Council members, and all CDIM members. The survey protocol was granted full institutional review board exempt status from the University of North Carolina Office of Human Research Ethics. A Word from the President: Facing the Facts About the Physician Shortage. AAMC Reporter: December 2013. https://www.amc.org/about/leadership/kirch-word-from-president/363844/word.html. Accessed January 29, 2019. Applicants and Matriculants (2018). AAMC data from 2008–2017. https://www.aamc.org/data/facts/applicantmatriculant/. Accessed January 29, 2019. LCME: Functions and Structure of a Medical School. 2017. Standards for Accreditation of Medical Education Programs Leading to the MD Degree. http://lcme.org/publications/. Accessed January 29, 2019. Kevin Krane, MD. Curriculum Inventory in Context. https://www.aamc.org/download/464758/data/ciic03-1jan2016 January 2016 Volume 3, Issue 1. P 1–3. Accessed January 29, 2019. AAMC. The Core Entrustable Professional Activities (EPAs) for Entering Residency. 2014. https://www.aamc.org/initiatives/coreepas/publicationsandpresentations. Accessed January 29, 2019. Liaison Committee on Medical Education (LCME). 2017. Medical School Directory. http://lcme.org/directory. Accessed January 29, 2019. U.S. Census Bureau. Available at: www.census.gov/geo/maps-data/reference.html Accessed January 29, 2019. ACGME 2011 duty hours standards. https://www.acgme.org/Portals/0/PFAssets/ProgramResources/Common_Program_Requirements_07012011.pdf?ver=2015-11-06-120650-183 pp 31 and appendix E. Accessed January 29, 2019. ACGME Summary of Changes to Common Program Requirements 2017. https://www.acgme.org/What-We-Do/Accreditation/Common-Program-Requirements/Summary-of-Proposed-Changes-to-ACGME-Common-Program-Requirements-Section-VI. Section VI.F. Accessed January 29, 2019.